One of the more nefarious qualities of Cuba under Castro is that the rule of the dictator, not the rule of law, prevails. That explains the dictatorship's practice of labeling those Cubans who somehow don't conform with what it is trying to impose on the populace, as "pre-criminal social dangers," complete with prison terms of up to 4 years. With no evidence to help build its cases, the regime presumes it has the foresight to determine who in the future will cause it trouble. The dictatorship's justice ministry enforces the practice, but "justice" has nothing to do with it. Human rights activist Yanisleydis Ramírez Terue is one of Cuba's newest "social dangers," sentenced earlier this month to 4 years in prison for not behaving like the dictatorship would have her. According to one report, Ramírez seems to be sort of a free spirit, visiting discos and riding in cars with foreigners, presumably raising questions about her character — at least as the dictatorship sees it. But her persecution also seems to have a political component, as a State Security official told her family that she had been accused of supporting opposition groups. Also, Ramírez also may have been targeted because of her mother's support for the wife of prisoner of conscience Pedro Argüelles Morán. Of course, the details don't matter, because the dictatorship — as long as it is in power — will never have to prove its case. 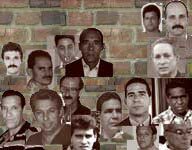 For more news about Cuban political prisoners and other events on the island, follow Uncommon Sense on Twitter @marcmasferrer.